Camp Cooking Recipes with Ronny Dahl. Welcome to my Camp Cooking recipes web page and video library. Recipes will vary from very simple to a bit technical but if I can do it then YOU can do it. The aim here is to show how simple it really is to cook great meals in the bush, on the coast or wherever camp is! Each segment will have 3 camping recipes and be based on completely different meals and style of cooking. It’s about time I made this segment ‘Camp-Cooking-Recipes’ considering all the delicious food we cook in the bush from big roasts, bush pizzas, amazing deserts to just very simple yet tasty meals. 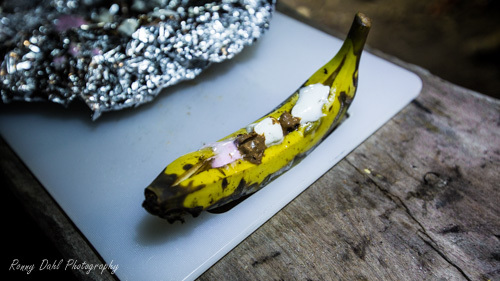 Why pay big bucks for dry freeze camping food meals when you can make stuff in the bush that tastes awesome and costs a lot less? Camping recipes suggestions? Contact us here or post in the comments below, we like to try new things all the time. A recipe acquired from a local in Wongan Hills W.A. I have changed it slightly but the idea is from Wongan. A bread baked in the camp oven with an option to ad sugar or leave the sugar out of the recipe. Similar to the Wongan damper but quite different in flavour and suitable to have as a snag with your drink around the campfire. Serves 4, preparation time 10 min, cooking time 12-15 min. An easy to do and filling breakfast on the campsite. Serves 4, preparation time 10 mins, cooking time 15 mins. The pancake mix can be prepared at home and make it easier at camp. This is an easy meal and the kids and adults will love the pancakes. Serves 4, preparation time 4 min, cooking time 12 min. For more information on the easy breakfast bush meals see this link. A tasty cold meal great for the hot days for lunch, dinner or even entrée. Also a good one for kids. Perfect for those days you just want a quick meal or you have cans leftover. A very big kid’s favourite meal. You MUST try this, this is an entry level desert you cannot fail and it’s so good! For more information on the Tuna Pasta Salad, Can Food Mix Up and the Banana Mellows click here. Leave Camp Cooking Recipes And Go 4 Wheeling In Western Australia.